The centerpiece of demonologists Ed and Lorraine Warren’s Occult Museum in Monroe, Connecticut, the real life Annabelle has been a favorite subject of paranormal investigators for decades. Now here are five fascinating things you probably didn’t know about the real sinister little dolly behind the popular Hollywood story. Annabelle isn’t as sinister looking as Hollywood made her out to be. Portrayed by a rather evil looking screen double, the real Annabelle was actually a Raggedy Ann doll. Raggedy Ann and her sidekick Andy, were created by American author Johnny Gruelle. They were originally released as dolls in 1915 and then in a series of books in 1918. Although many companies have been making Raggedy Ann dolls since 1920, the Annabelle version was more than likely a Georgene Novelties or Knickerbocker Toy Company version. Altered to her present image for the film, it seems far more plausible that someone would welcome a Raggedy Anne doll into their home more so that the evil looking one screen variant. Natalie Mellon believes her antique toy, which she says is about 100 years old, is at the centre of spooky goings on including doors opening on their own and objects moving. In 2016, 33-year-old Natalie Mellon from Glasgow was given a 100-year-old doll that her father-in-law’s friend found in his attic. Mellon loves antiques, and even though she found the doll slightly creepy, she still loved it and decided to call it Annabelle as a joke. However, the comedy was short-lived after weird things started happening in Mellon’s house. Now, the doll has been banished to the shed in the hope of ending the spooky goings-on. Natalie said: “Annabelle was given to me about a year ago by one of my father-in-law’s friends who found it among a load of things in an attic. “I’ve always loved old antiques and loved her straight away. “She looks a bit creepy but I wasn’t freaked out when I saw her. I have four dogs but they are terrified of her and won’t go in the same room. Moreover, the family would wake in the morning and find that Sarita had moved out of her corner during the night. The three siblings in the household would be inexplicably covered in scratches and bruises. 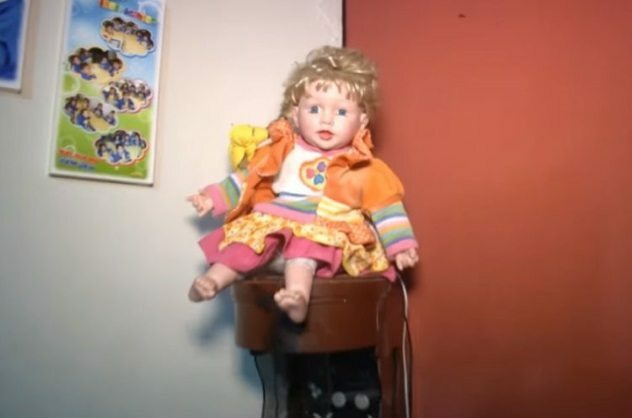 The eldest daughter, Angie, claimed that the doll was staring at her from the corner of the room at night. Angie and her two brothers want the doll out of their home, but their mother is reluctant to part with Sarita, as it reminds her of her late niece and sister-in-law, who committed suicide. Instead, she called on an angelologist to cleanse their home. It remains unclear whether the cleansing ritual was successful. The family decided to ask a medium to investigate the case and contacted “angel expert” Soralla de los Angeles, who visited their house. She cleaned the house and dozens of strange lights like circles allegedly appeared there. Soralla also walked around the house during the ritual and claimed to have detected the presence of a mysterious woman in one of the rooms. According to Ivonne, this woman must be her sister-in-law, who killed herself in that exact spot. 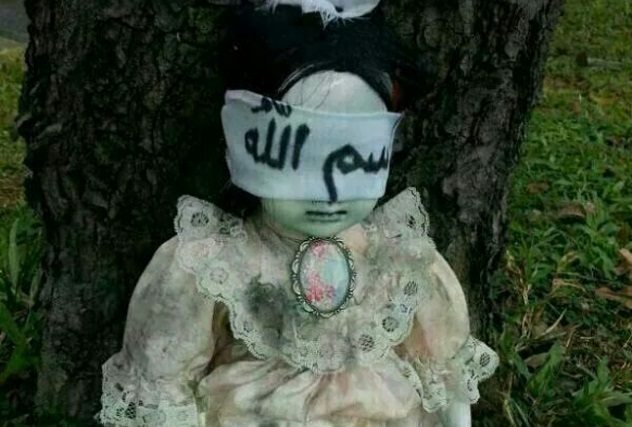 The angel expert also said that she felt an evil presence inside the doll that wants to hurt the family. She did a cleansing ritual in order to protect the house and to make spirits leave and left seven candles in the living room. However, the show did not explain why the family had not just got rid of the doll. Doting owners have been known to splash out on expensive accessories and jewellery for their dolls. 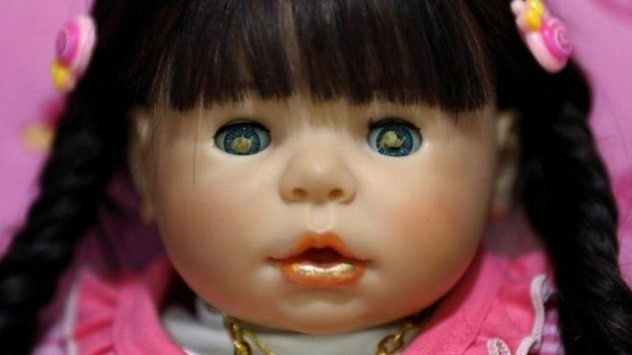 Anthropologist Asama Mungkornchai from Pattani’s Prince of Songkla University said the dolls appear to be particularly popular with middle-class women, and could “fulfill the need for motherhood” among such owners. But the fact that many say they need it for good luck and wealth also highlights “a current sense of insecurity among the Thai middle class, especially when it comes to the economy”, she added. 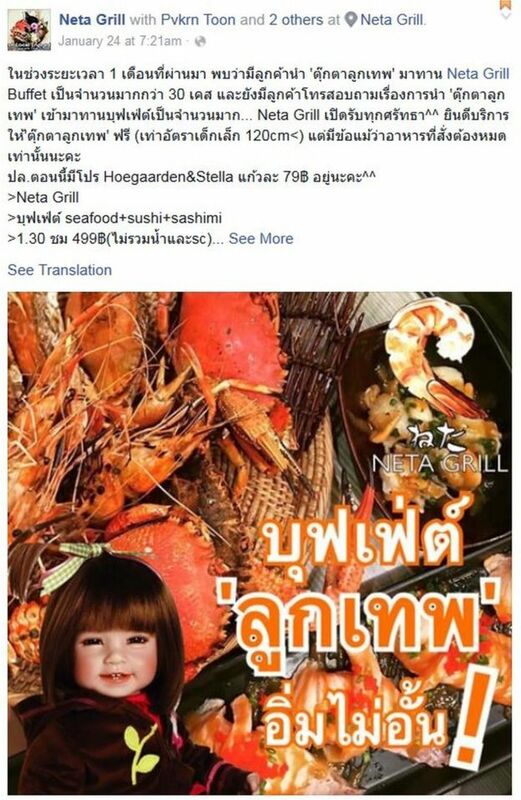 On Monday, Prime Minister Prayuth Chan-ocha urged Thais not to get carried away with the trend and not to buy the dolls if they cannot afford them, reported broadcaster Thai PBS. 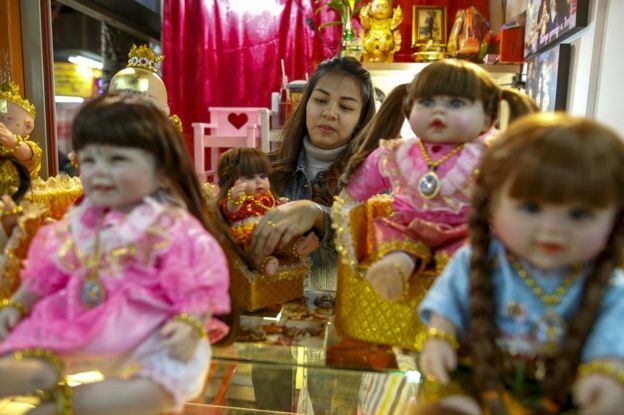 The price of a doll can range from 1,500 baht (£29, $42) to tens of thousands of baht. The police have also expressed concern that doll sellers have been evading import taxes, and that the dolls could be used to smuggle drugs if they were allowed on planes. Earlier this week, police in Chiang Mai intercepted a doll loaded with 200 tablets of the popular recreational drug “yaba”. Image copyright AFP/Getty Images Even religious questions have been raised about the appropriateness of conducting Buddhist rituals on the dolls. The trend has sparked a backlash online, with some criticising owners as being superstitious. But the National Office of Buddhism told Thai PBS the “plook sek” ritual was no different from blessings given by monks for other objects such as cars, a practice that is already widely accepted. ← Island city of Nan Madol be Atlantis?